In large pitcher, mix sugar, club soda, nectar and wine; stir in fruit. Refrigerate 1 hour. Serve over ice. 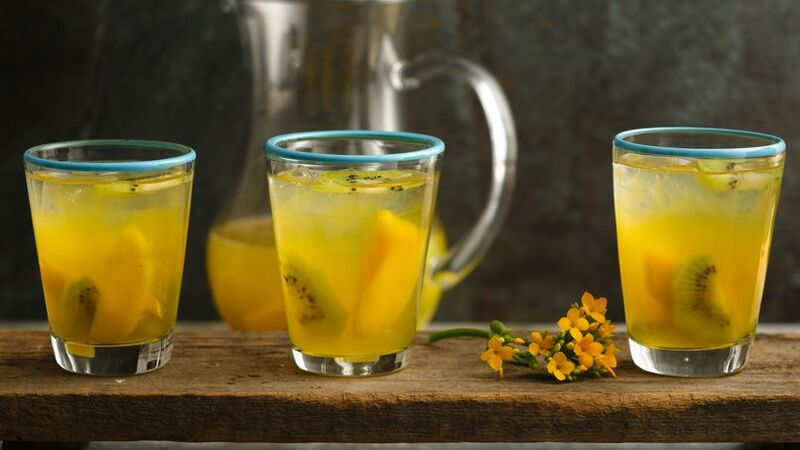 Enjoy this fruit cooler that also features wine – a refreshing drink.